Victoria is a Solicitor within our Commercial Property Team. Working closely alongside Partner Rob Sibley, Victoria deals with a full range of commercial property matters. Victoria graduated from Oxford University with an MA in Law and completed the Legal Practice Course at Store Street College of Law, London. 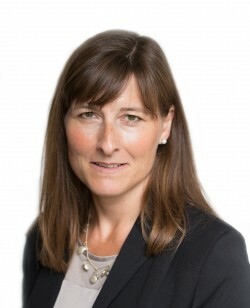 Victoria trained at a City of London firm where she stayed for a further two years after qualifying as a Solicitor in 1995. In 1997 Victoria joined the in-house legal team Aviva in Norwich. During her eight years there Victoria advised on a broad range of commercial property matters including investment property, landlord and tenant issues, and commercial leases. Within our Commercial Property Team Victoria deals with leasehold and freehold acquisitions and disposals, landlord and tenant issues, residential and commercial development, commercial leases and investment property. In her spare time Victoria likes to travel and enjoys sport, especially cycling and rugby. I am pleased to say the whole experience has been very positive – Victoria has been very pleasant to deal with, quick to turn things around, patient with people who were not always the quickest to respond and overall made the whole process quite painless.